Full Mouth X-rays are a type of the radiographs used in dentistry which are now quite commonly used in several branches of dentistry. With time, lot of improvements and advancements are occurring in the way the x-rays are taken in the mouth of the patients and the results which come from the x-rays. 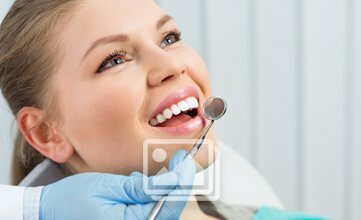 Full mouth x-rays are taken when all the teeth are to be taken into a single radiograph. Full mouth X-rays can be taken in one go if the dentist or radiologist has good amount of experience in this type of x-rays. Proper safety is taken by the radiologist for himself as well as for the patient in order to avoid unwanted exposure to the radiations coming out of the radiographic machine. Moreover, the dentist can easily determine the status of the dental health as well as the periodontal health of the patient within one x-ray. In this way, lot of time is saved and the treatment protocol can be created by the patient just with the help of one full mouth x-rays. In case there is some major problem in any of the teeth, then the individual radiographs like periapical radiographs can be taken for the concerned teeth. 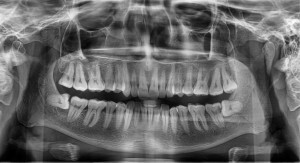 Several structures of the mouth and their adjacent structures can be seen and evaluated clearly in the patients mouth. This ensures that the patient is able to know the status of his mouth and the teeth. The gum diseases as well as the tumours can be detected clearly in the full mouth x-rays. When a patient has a tumour covering more than one teeth or located in some part of the mouth then the full mouth x-rays are of great help for the patients as well as the dentists and thus the diagnostic process of every case gets improved and occurs at a faster speed. Pin code : 600 024, Tamil Nadu, INDIA. © 2016 TOOTH 'N' CARE All Rights reserved.